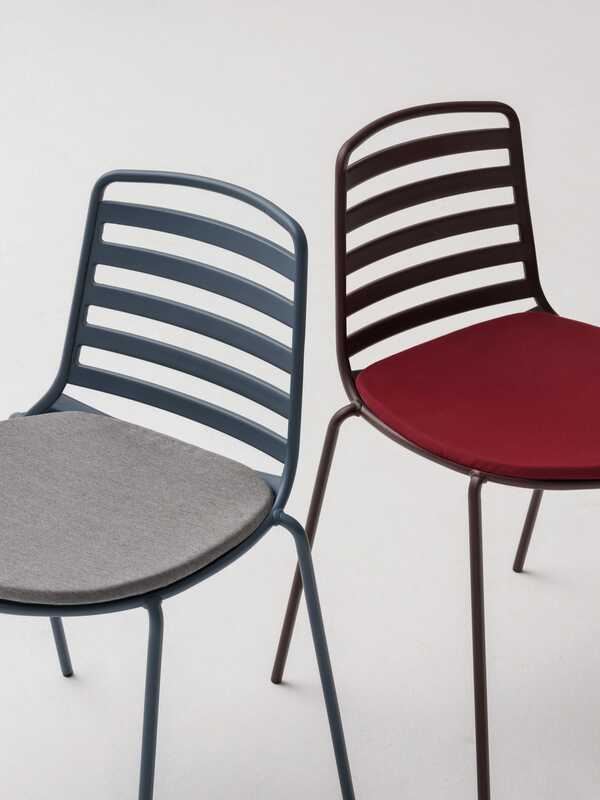 Street chair, Enea's seating proposal for outdoor spaces needs. 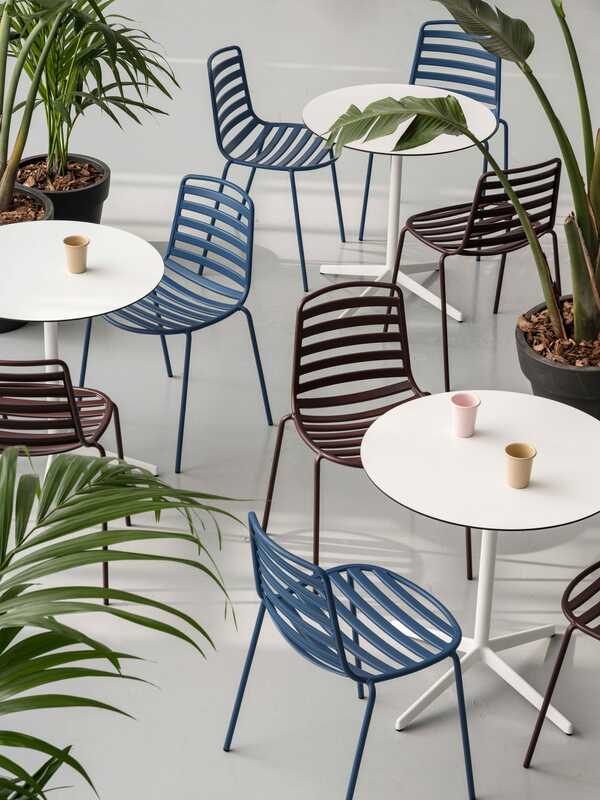 Street, Enea’s proposal designed to meet the needs of outdoor seating. There is still a long way to go for spring and to be able to enjoy outdoor terraces, but both homes and establishments dedicated to the hospitality industry have opened to the outside and calendar dates are no longer an excuse to furnish and open these areas adequately. To improve the user’s experience, decoration must be comfortable and functional, and choosing the right furniture is vital. A good design, simple but attractive, makes the difference. Following these ideas, Enea presents Street, a seat for outdoor spaces designed by Estudi Manel Molina.. A new proposal aimed to satisfy the demanding needs of equipment for outdoor spaces in public and residential environments. This is a seat that is distinguished by its elegant and simple lines which provides a contemporary touch and a young look thanks to its organic and attractive profile. 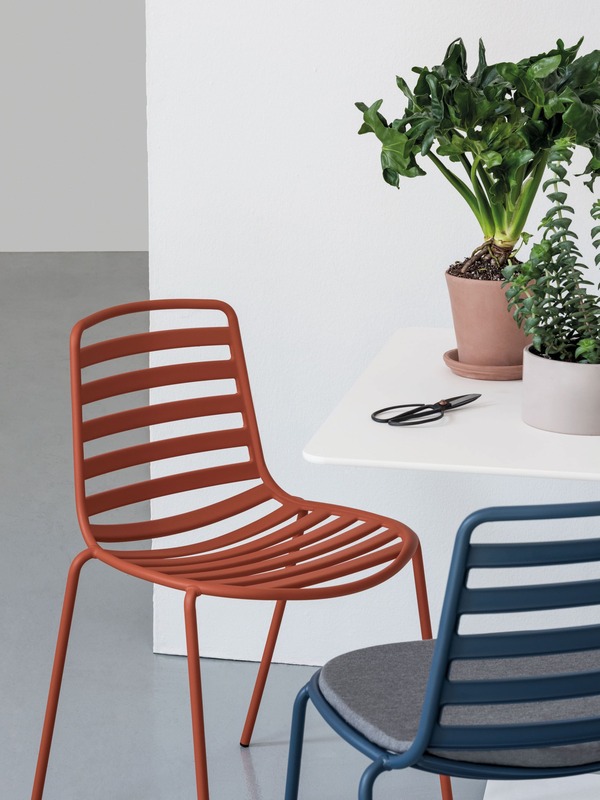 Street is a stackable chair manufactured in stamped metal sheet welded to a light structure, which can be lacquered in the different Enea colors. Likewise, for maximum comfort, the Street design may incorporate a cushion that is anchored to the seat with a magnet system. Pure and sober lines fit in any environment and, above all, offer an outstanding appearance to outdoor decoration thanks to a design that transmits lightness.